When it comes to removal companies in Walsden always choose the most reliable one. In your quest of the perfect company, you can start by asking people who have used the services of the removal companies and get their feedback about the different companies that they have used. It helps to get feedback before zeroing in on a removal company as moving houses is stressing already and the last thing you need is an unreliable company with rude staff members. It also helps to know more about the removal company of your choice; for instance, whether they have insurance, and if they can assist with the disposal of unwanted goods. In Walsden, removal companies that has received good appraisals from the local clientele is Littleborough Removals which was established in 1991. They are a company that has received quite a lot of good feedback from their clients because they do not hesitate to go the extra mile and make sure that the client who is moving houses is not stressed. For instance, when a client who decided to move to the North of England because of work, the company’s outstanding work ethics and workmanship was a testament of the company’s high standards. On top of that, they also provide their clients a close personal service whereby the company will take care of any unwanted goods that you do not require anymore, or if you require storage space, you can rely on them to give you storage space for your unwanted furniture or other items which you do not need for the next few months at a very reasonable fee. Moreover, their transportation services are top-notch and you can trust that they will move your items with lots of care and you will not have broken goods when you have reached your destination. For reliable removal companies in Walsden, you are more than welcome to call Littleborough Removals. You can expect a friendly and professional service from the experienced team members; the staff members are always eager to help and make sure that you, as a client, are completely satisfied. 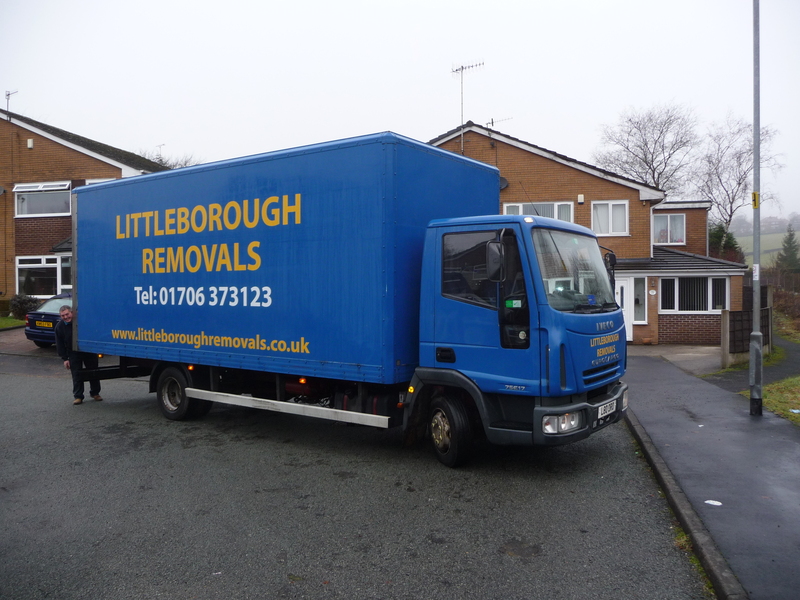 Contact Littleborough Removals on for information about reliable removal companies. This entry was posted in Removal Companies and tagged Removal Companies in Walsden, Walsden Removal Companies. Bookmark the permalink.